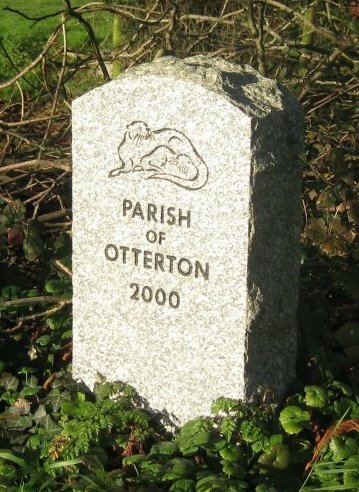 The house stands on site of part of Otterton Fair, which had been held on the Green twice annually since the Middle Ages and last held in 1884. By 1790 Stephen Hollett, carpenter/builder had leased the site , at that time known as “The Shambles” ie. in the past where a butchers stall stood. This was also where the Fair “Standings” were kept – tables, stalls, hoardings etc. used on Fair Days. Hollett would have used the site as his builders yard. He was also paying a rent to keep timber on the Green. 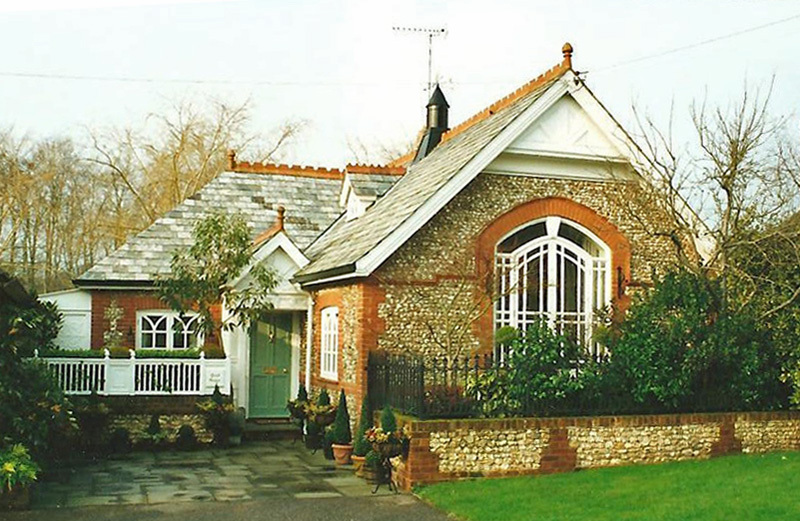 He is known to have built the cottages on the south side of the Green. By 1822 the Holletts had built Stables and Gig House 31ft.x 15ft. and a house adjoining at the west end of the site. From 1861 the tenancy changed to Rack Rent (House & Workshop). The Holletts left the premises in 1864 and by 1866 it is described as in ruins. In 1893 Rolle Estates had offered the site to the Weslyan Methodists for a Chapel. In the late 1880’s they had been offered a cottage on the north side of the Green, but the lease held a clause forbidding Religious use. The Estate had offered them Basclose, temporarily. The Chapel was built and opened on Wednesday 6th. June 1894 with a sermon by Revd. George Bowden D.D. of the Bath District. Tea was served under the Chestnut Trees on the Green at 5pm. 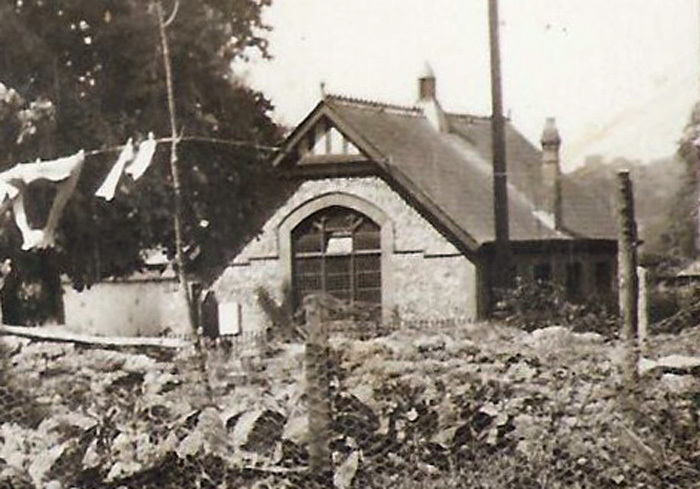 Revd, Marmaduke Riggall, Minister at the Temple Methodist Church, Budleigh Salterton, was the driving force in getting the Chapel built and Robert Curwen ARIBA was the architect. He had worked with Sir Giles Gilbert Scott and had designed Churches in Bristol, Colwyn Bay, Sunderland, Axminster and Chard. 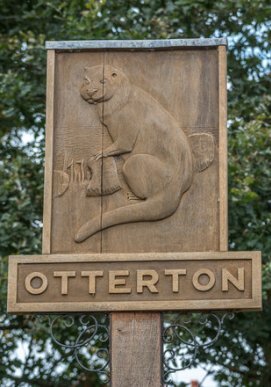 He designed the three identical chapels at Otterton, Colaton Raleigh and Farway. – all L shaped and seating 100. During the early 20th. century a healthy congregation was maintained but after World War 11 it declined and the Chapel was closed for worship in the 1960’s the last service being a Harvest Festival. The local newspaper of 27th. August 1965 carried a headline “Preacher involved in ugly incident” The Chapel was still open for services at this time and worshipers cars were parked in front of the Mill House garage. Mr.Derrick who lived there could not get out when the service was on. As a result there was a “punch up” after the service had finished. It is not known when the Chapel was sold for private development but residents have been in 1980’s Mrs. Phillis Reeves: 1995 Mrs. Sandra Blomberg: 2001 Sidney Stuart: 2004 Brian Major, who renamed “Chapel House”. Clinton Devon Estates Archives – Letter Books, Rental & Account Books etc. Missioning with “Reg” and “Rex” by H.K.